Bradshaw ElectricNewsroomTipsWhat’s the difference between Amps, Volts and Watts? Amp – an ampere is the unit for measuring electricity. The accepted standard unit used for measuring how fast an electric current flows is an example of an ampere. Volt – the basic unit of electromotive force in the SI and MKS systems, equal to the electromotive force, or difference in potential, that causes a current of one ampere to flow through a conductor having a resistance of one ohm. Watt – the basic unit of electric, mechanical, or thermal power in the SI and MKS systems, equal to one joule per second or 10 ergs per second (of a horsepower): for electric power it is equal to one volt-ampere. Back to our analogy; electricity is the flow (like water) of electrons through a conductor like a wire. 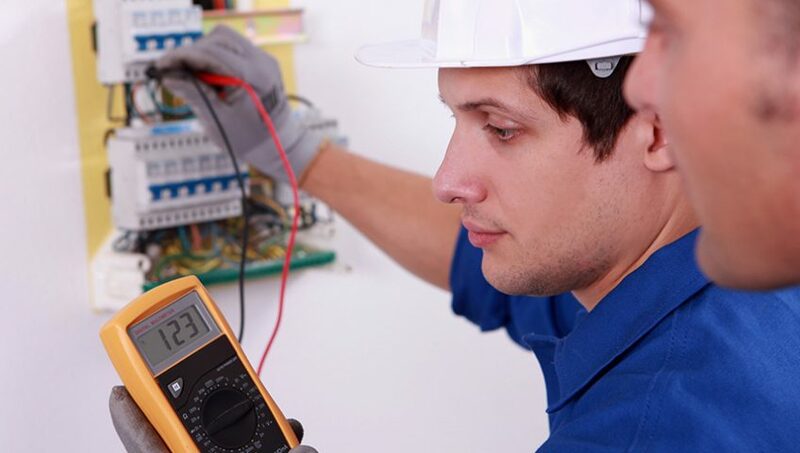 The rate at which electricity flows is measured as an electric current. The electric current is measured in amps. What makes the current flow? In our water analogy we could say a battery would be the pump that makes the water flow which creates pressure in the pipe. The pressure is the voltage. And as we said before the watts are the power the water could provide (like to a mill wheel). The watt is a measure of how much power is released each second. We hope you now have a better understanding of the difference between amps, volts and watts. If you have any questions though feel free to contact us here.